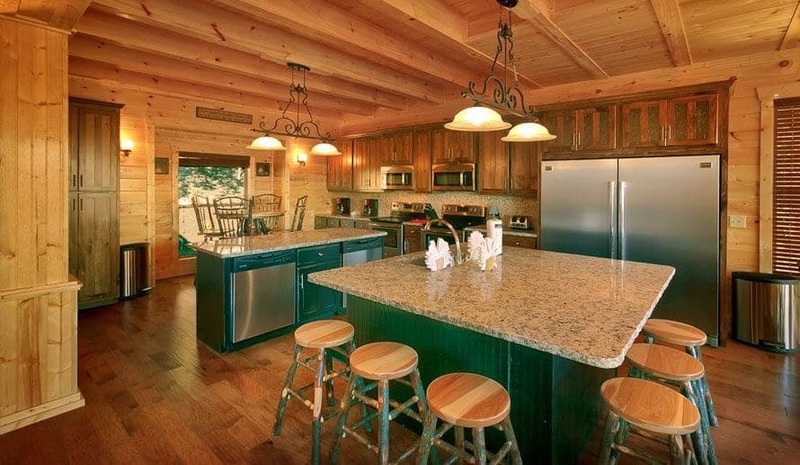 All of our large cabins in Pigeon Forge feature a fully equipped kitchen with every modern amenity necessary to cook delicious meals throughout your stay! 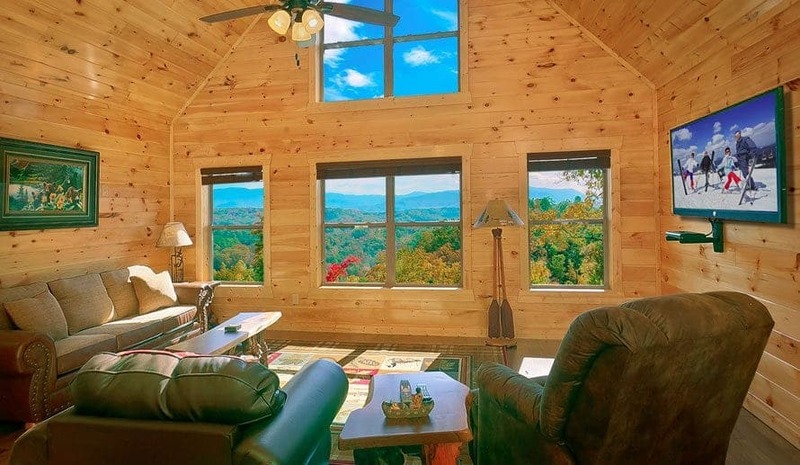 Gather your entire family together for dinner to discuss your action-packed itinerary in the Smoky Mountains or to catch up with friends that you might not have seen in awhile. Whether you are staying for just a few days or an entire week, your group members can take turns planning a menu and preparing a meal each evening. The dining room is the perfect place to rekindle fond memories, share laughs and socialize with the people you love! 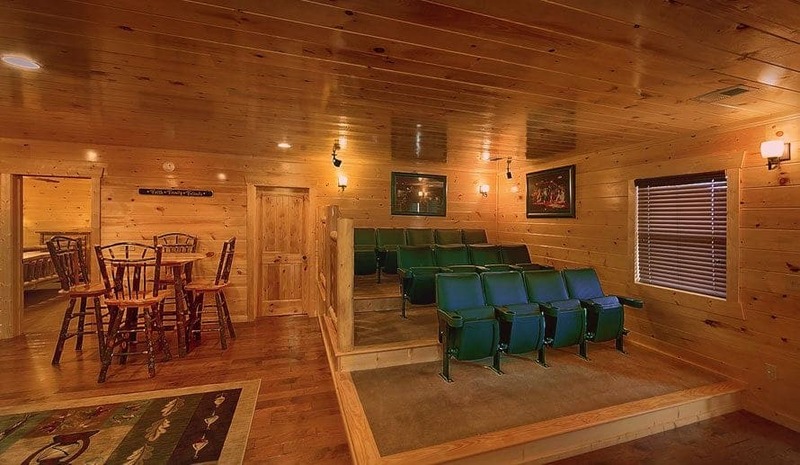 Most of our Pigeon Forge large group cabins contain an exciting game room with all types of great entertainment such as pool, foosball, air hockey and more! With so many different games to experience, it can be fun to organize a game tournament among your group. Regardless if you are a pool shark or an amateur player, you will have a blast spending hours in the game room! 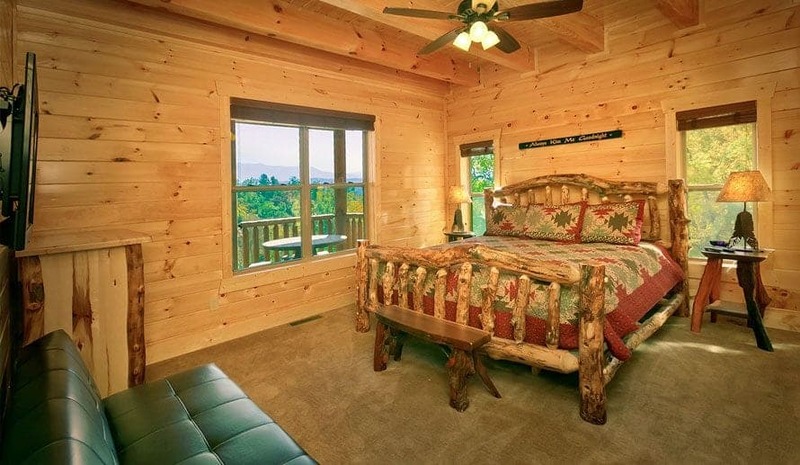 Some of our cabins even feature their very own private miniature golf course where you can challenge your friends to a hole-in-one tournament or compete to see who can get the lowest score! There is nothing quite like relaxing in your cabin’s bubbling hot tub after a busy day on your feet exploring Pigeon Forge! Whether you have spent a full day walking around Dollywood or hiking through the trails of Great Smoky Mountains National Park, the soothing jets feel absolutely wonderful on your sore muscles! As a bonus, the hot tub is also the perfect place to socialize to talk about your day in the Smokies and reflect on your experiences. While kicking back in the tub, don’t forget to look up at the night sky that twinkles with thousands of bright stars! 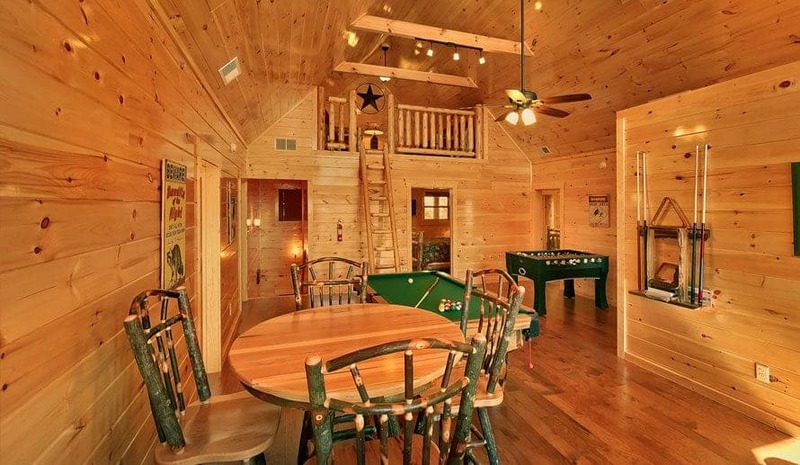 You might be pleasantly surprised to know that Large Cabin Rentals offers a selection of incredible cabins that have a private indoor swimming pool! Just imagine being able to enjoy a refreshing swim just steps away from your bedroom! As a bonus, you can go swimming at any time of year regardless of the temperature or weather conditions. The pool area is a delightful place to splash around with your friends or to cool off on a warm summer afternoon. Whether you are visiting in the summer or the winter, remember to pack your bathing suit! 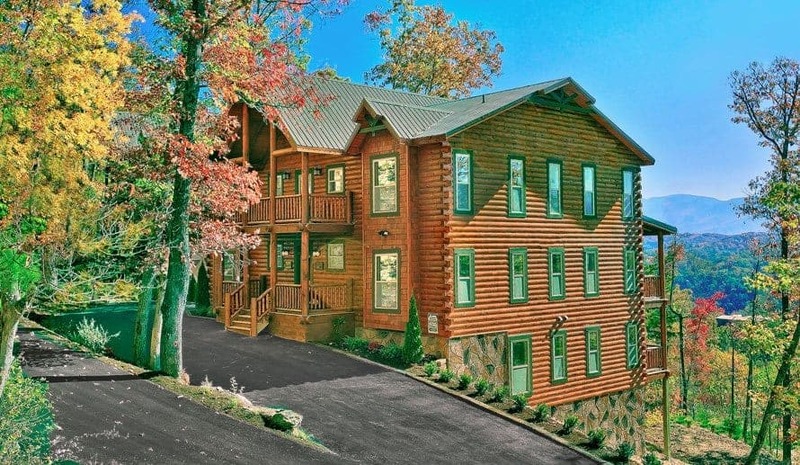 Check out all of our Pigeon Forge large group cabins today to plan your next group vacation to the Great Smoky Mountains! 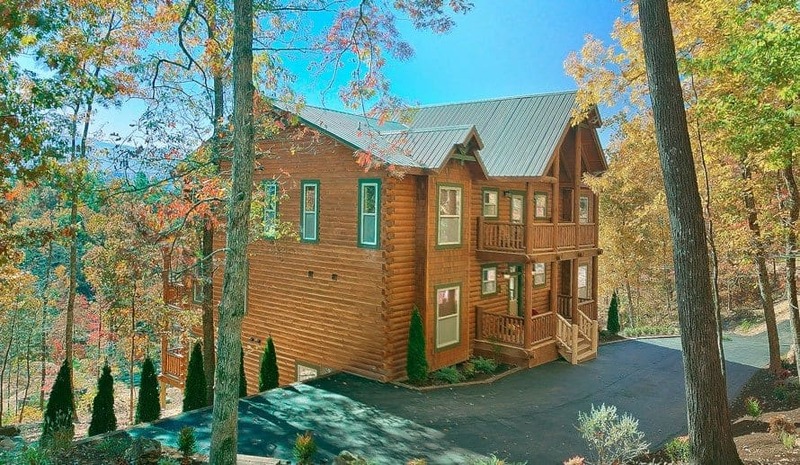 We hope to see you soon at Large Cabin Rentals!